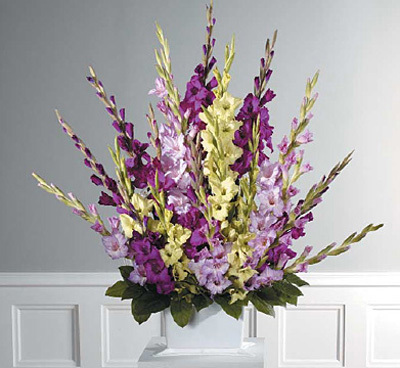 Gladiolus Mache Funeral Flower Arrangement. Order memorial and funeral bouquets in San Diego with Four Seasons Flowers. Contact us with any questions you may have.